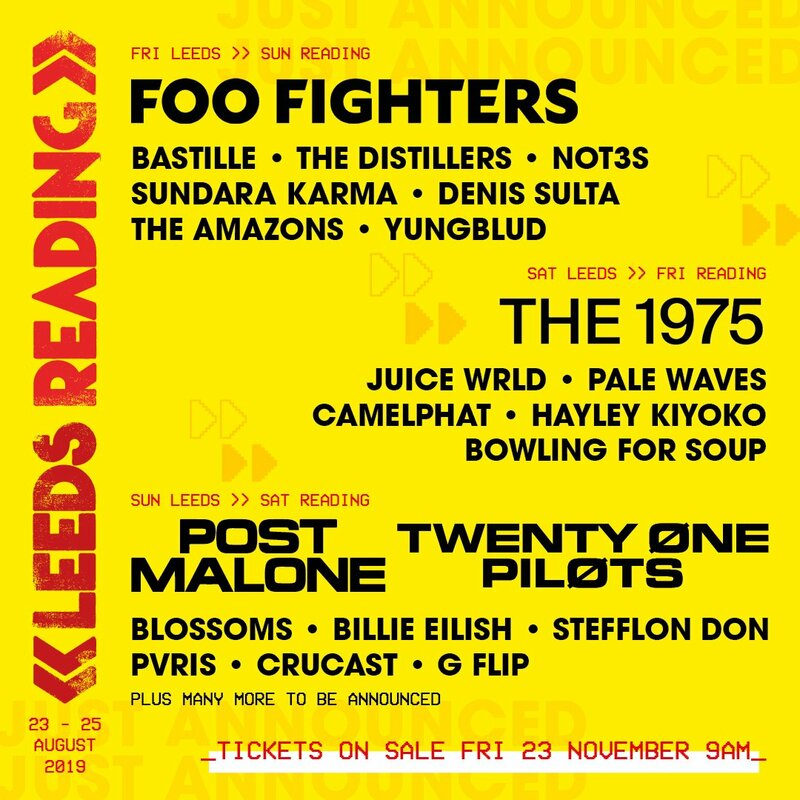 The first artists confirmed to play Reading and Leeds festival next year have been announced this morning (21st November) and include headline acts Foo Fighters, The 1975, Post Malone and Twenty One Pilots. Foo Fighters will headline for a fourth time after taking to the main stage in 2002, 2005 and 2012, whilst American alt-rock/hip-hop duo Twenty One Pilots will co-headline with rapper Post Malone; who is the first live act since Nirvana in 1992 to go from an afternoon slot to headline the following year. As well as the headlining acts, the festival have announced that, among others, pop-rock group Bastille, Stockport indie rockers Blossoms and MOBO award winning rapper Stefflon Don will all be performing across the weekend. Tickets go on sale this Friday (23rd November) at 9am and the festival will take place at Richfield Avenue (Reading) and Bramham Park (Leeds) over the bank holiday weekend of August 23rd 2019.